Yes, “house calls” still exist. In fact, the ability to receive coordinated health care wherever you call home has expanded and improved. How does it work? It begins with the senior care coordinator. Senior care coordinators are members of a comprehensive team of healthcare professionals who work with senior adults and their families to improve and maintain the senior quality of life. There are many benefits of a senior care coordinator for both the senior and their families. Senior care coordinators can answer questions and perform assessments. Think of them as the liaison for seniors and families in a care network focused on addressing the needs of the senior. Health care can be complex, particularly for senior adults who may have multiple chronic illnesses. Unfortunately, communication challenges can exist between physicians, specialists, therapists, labs, pharmacies, mental health professionals, social workers, and family caregivers. 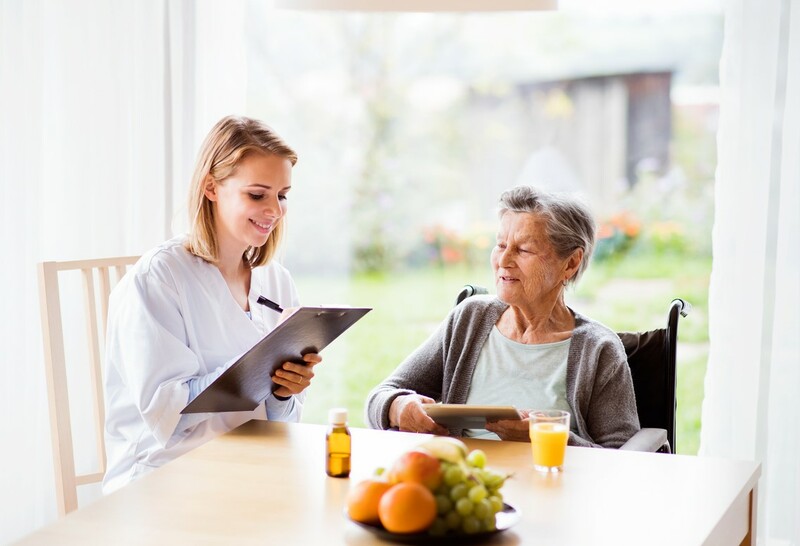 Often, the senior care coordinator acts to ensure all are on the same page—providing updates, making sure everyone is fully informed, and monitoring the needs of the patient as they change. They make sure the right people have the correct information at the appropriate time. This means the care team knows what needs to take place ahead of time rather than playing “catch up.” The result is safer and more effective care. Seniors and their caregivers can more easily navigate what can be a complex and confusing healthcare system with the help of a care coordinator. This reduces stress and inspires confidence in the senior, as well as his or her loved ones. The chance for vital information to be lost between team members decreases if a senior care coordinator is involved. Acting as a mediator, the senior care coordinator can also resolve conflicts and suggest resources for counseling or other services. Finally, senior care coordinators communicate care team assessments, instructions, and other information to patients and caregivers. They also make sure all of the senior’s questions have been answered. Yes, house calls do exist, but you won’t have to fit your entire healthcare team in your living room. Essentially, they are there in the form of a senior care coordinator whose main priority is keeping everyone focused on you. At Bethesda, we know the importance of coordinating senior health care and have professionals who can provide additional information about this specific service. Contact us to learn more about our Care Coordination team.